On account of geopolitical tensions, analysts believe there will be fewer privatisation deals this year than in 2013. Russian officials have long been planning to transfer tens of billions of dollars of state assets into private hands, and as recently as last winter, hopes had been running high that 2014 would be a banner year for privatization sales. However, analysts believe tensions with the West over Crimea may put a dent on those plans. None other than Prime Minister Dmitry Medvedev announced that the state hoped to sell over $5 billion worth of assets before the year was out, with much more to come in 2015 and 2016. On paper, the current privatization plan sets lofty goals. The government expects that, by 2016, it will complete the process of exiting non-oil sector companies that are not related to resource monopolies and the defence industry. One of the biggest sales of the year might be in the telecoms sector. 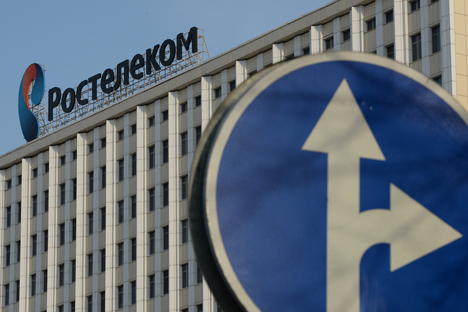 Russia might raise 150 billion roubles from selling a stake in Rostelecom, the country’s leading fixed line provider, said Olga Dergunova, head of the State Property Agency. Ulyukayev also said the Central Bank of Russia might sell its stake in the Moscow Stock Exchange, and told a government meeting in January that the state could carry out a sale of 5 percent of Russian Railways, according to Interfax. Information from a report in Kommersant Dengi was used in this article.